Dominion Diamond Mines and I. Hennig Tenders have partnered to auction Dominion latest production of fancy colour rough diamonds, as well as stones over 10.8 carats, in two diamond hubs in July. According to Gem Konnect, viewings for the auction will be hosted by I. Hennig Tenders and are scheduled in Antwerp from July 5 to 11 and in Ramat Gan from July 15 to 18. The lots on offer consists of production from Dominion’s Misery kimberlite pipe of its Ekati diamond mine in the Northwest Territories of Canada. 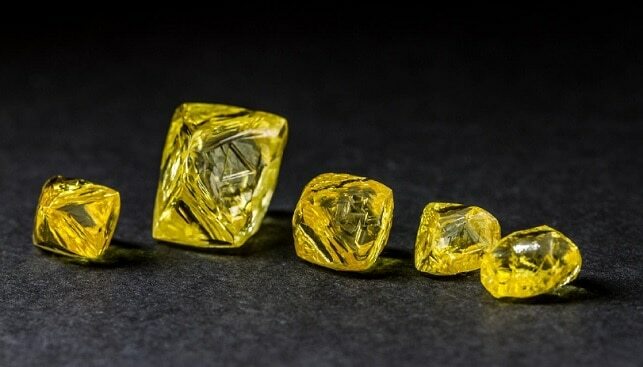 According to the report, this production “has delivered a quantity of exceptional yellow fancy colour stones, which will be presented for sale at the upcoming auction”. As Dominion plans an extension of the mine by developing an underground operation below the Misery pipe, the upcoming auction is expected to be the last for the next 18 months.